While travelling through Yokohama on a recent trip I stumbled across something truly amazing. I’m not normally swayed to purchase something so readily when I’m out browsing and sight-seeing, but I just couldn’t resist this gorgeous find: A Boro Jacket. I think of the wearing possibilities of this Jacket – considering the history of the garment – its origins and the responsibilities of maintaining it. In the days when this Jacket would have been used for its intended purpose, I’m sure no such thought was given to how I would feel about it many years later. It was a jacket designed to be worn; repaired over and over again to lengthen its lifespan. It’s interesting to compare the different perspectives regarding this Jacket. The original concept of Boro was created by peasant women who would re-use rags or scraps of cloth (nothing too old to re-use). 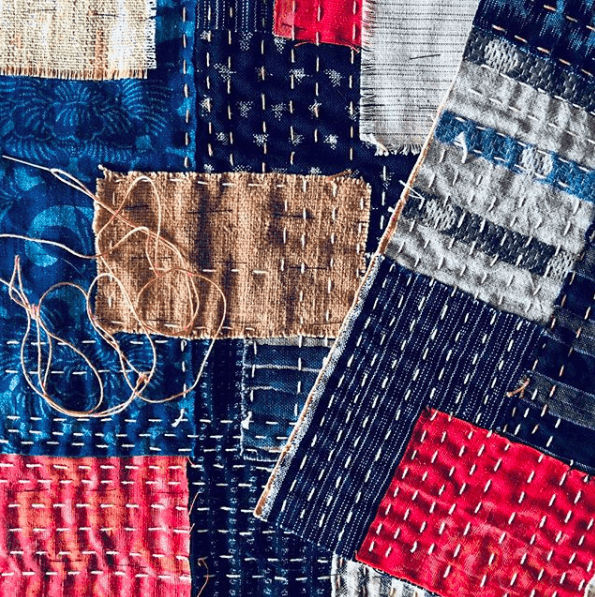 They’d sew the scraps together to lengthen the life of a garment by many years–layer upon layer, lovingly stitched to create warmth and repairs to the article. 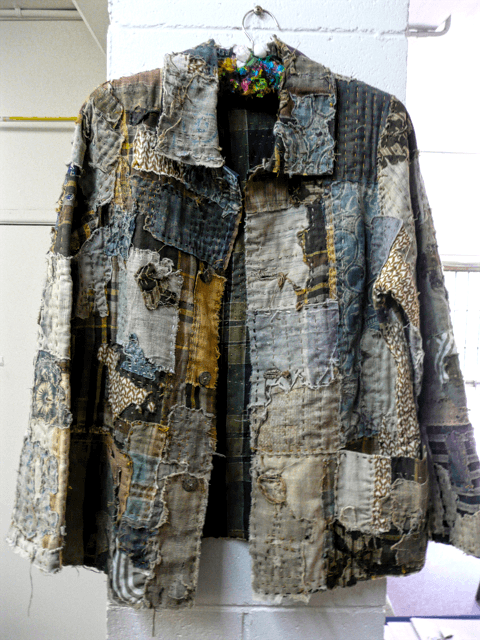 The purpose was to use the garment as a working piece of clothing–old rags, old cotton, hemp, wadding all stitched together through the layers to lengthen the life of the jacket: old cloth was lovingly reused. If we look at these garments today, the wearability and value of these garments in no way diminishes in value, as opposed to the more expensive materials (silks) used in clothing worn by the upper classes. The history and background of these beautiful garments enhances the value to a point where we must preserve them. 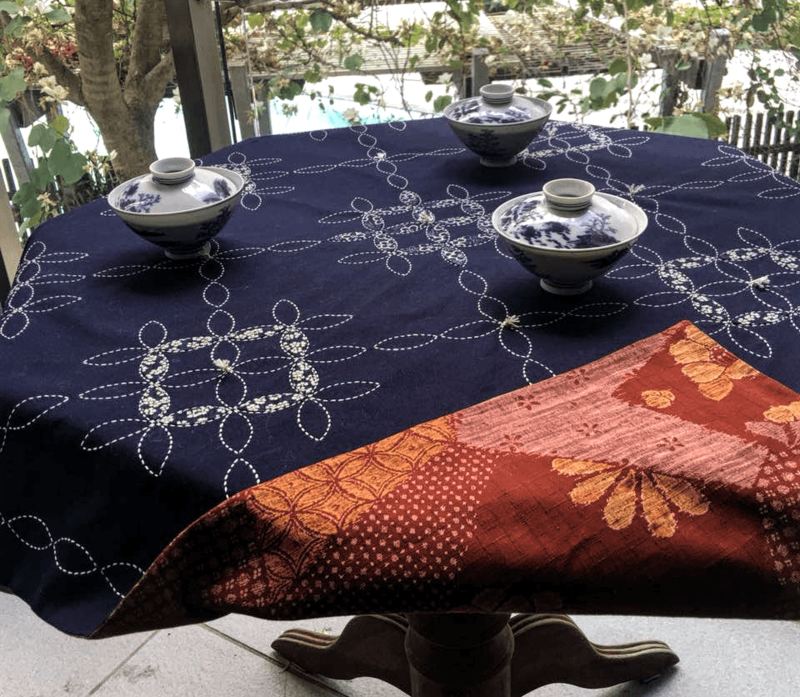 I love my piece of Japanese History, but I certainly won’t be using it for everyday use – it’s for those special occasions. Absolutely beautiful! I love boro and sashiko and have used the latter on quite a few pieces of clothing. I really want to use boro too on articles that I wear often – but how to wash it?? Won’t it disintegrate?